This beautiful 4 bedroom cabin with pool table, arcade game, dart board and so much more is the perfect place to spend your vacation! 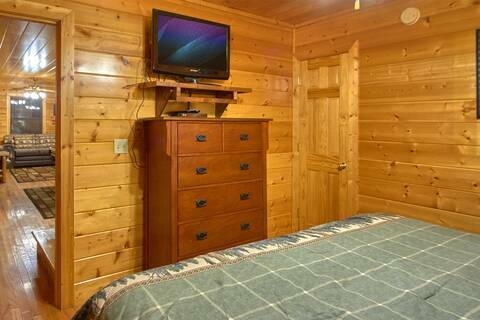 Main level: You will enter the main level with ease as there are no steps to get inside. Once inside you will find a fully equipped kitchen with stainless steel appliances and a dinning area with additional seating at the bar. 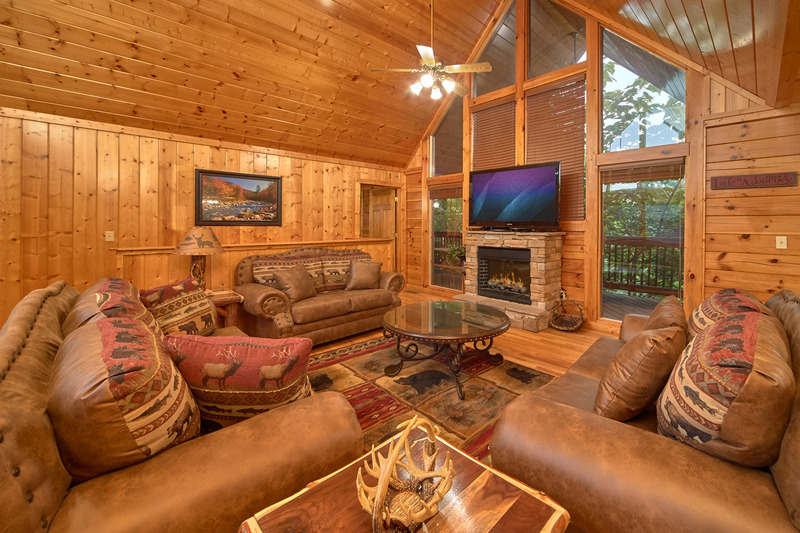 The living room houses a sleeper sofa, electric fireplace, big screen TV, as well as access to the outdoor hot tub, picnic table, gas grill, and rocking chairs. There is one bedroom located on the main level with King Bed, TV, jacuzzi tub, and a full bathroom with walkin shower. 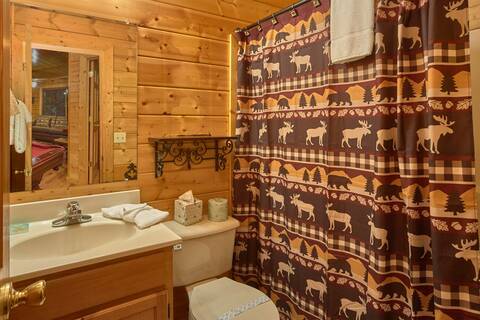 The shower also has a fold down seat and grab bars if needed. Downstairs: The lower level is the entertainment level. 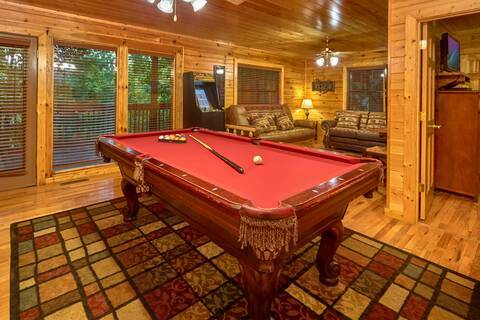 Here you will find a pool table, multicade game, and dart board. 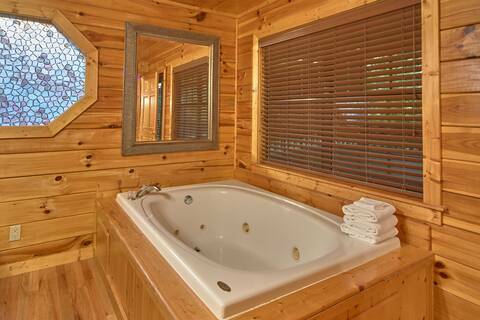 All of which are perfect for a little friendly competition. 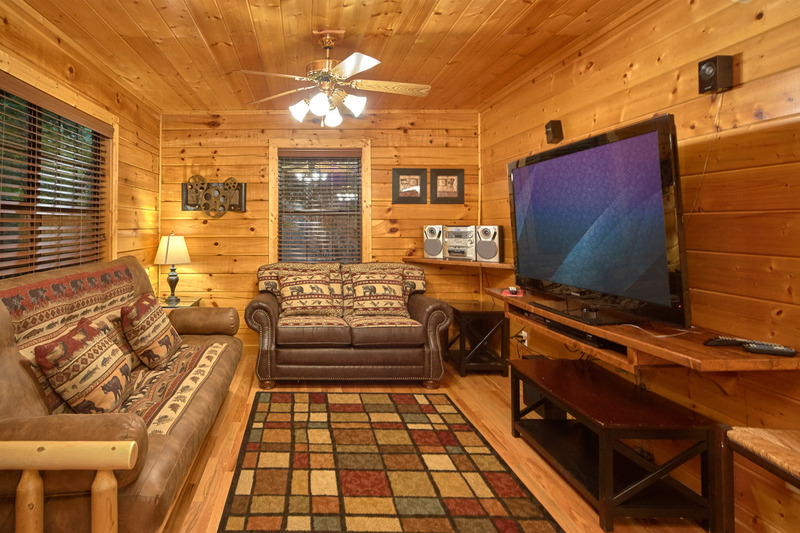 There is also an additional seating area with big screen TV and a plush futon for extra sleeping. Also on the lower level are 3 additional King bedrooms all of which are equipped with TV's. One bedroom has a private bathroom with stand up shower. 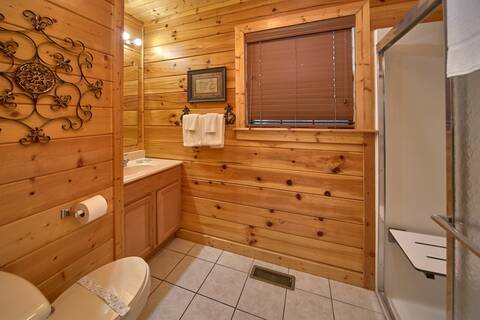 The other 2 bedrooms have access to a centrally located full bathroom. 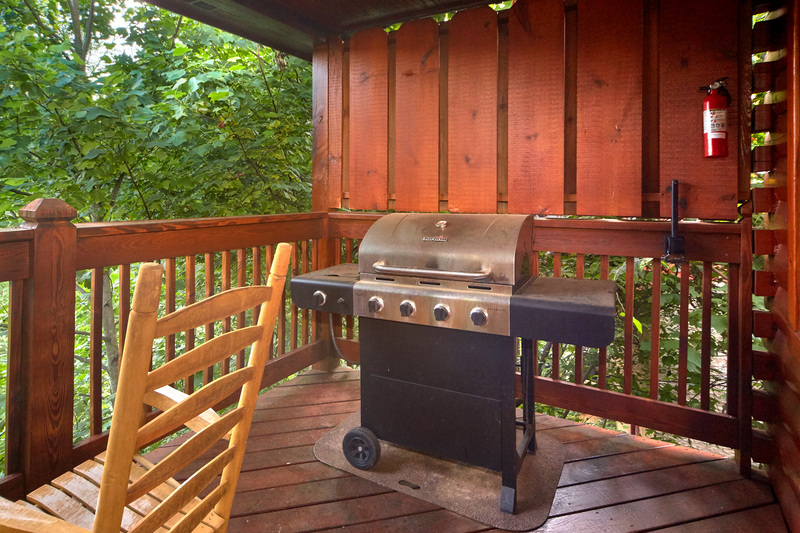 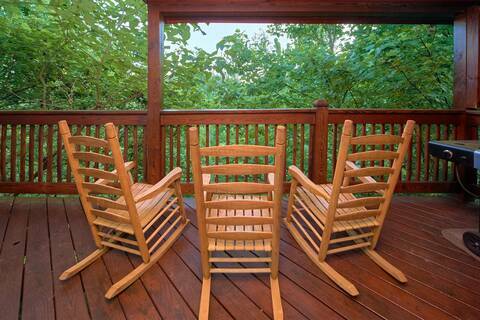 The lower level also has a washer and dryer as well as access to a covered deck with rocking chairs. 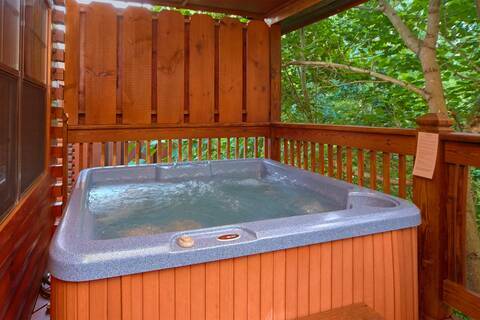 Enjoy the year round swimming pool located within walking distance of the cabin. 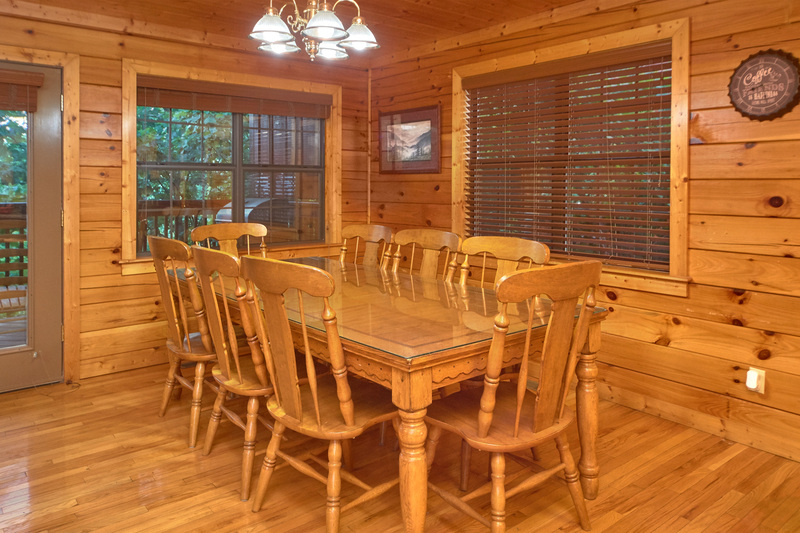 Located just a couple of miles off the Parkway in Pigeon Forge, you can be at Dollywood or Splash Country in mere minutes or downtown almost as fast to enjoy all the dinner theaters, shopping outlets, the music shows or the restaurants. 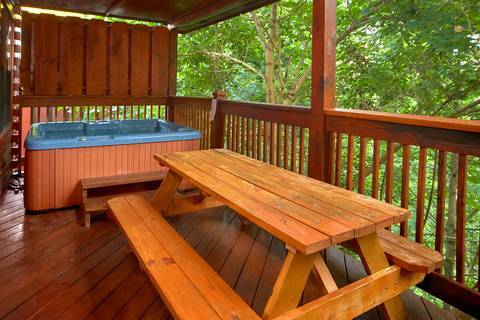 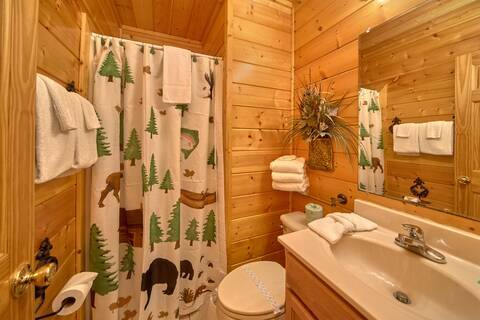 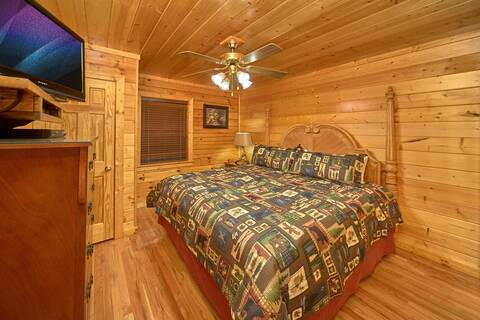 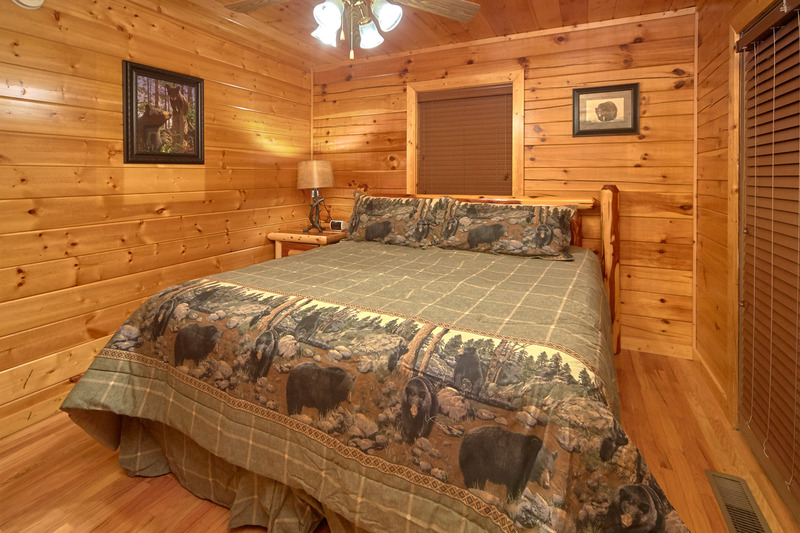 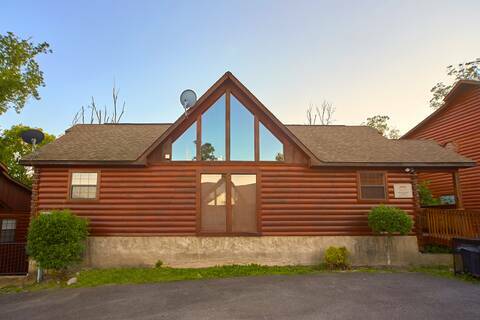 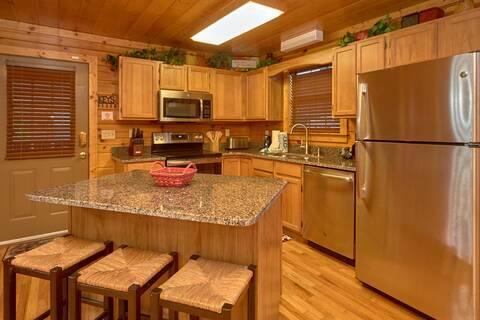 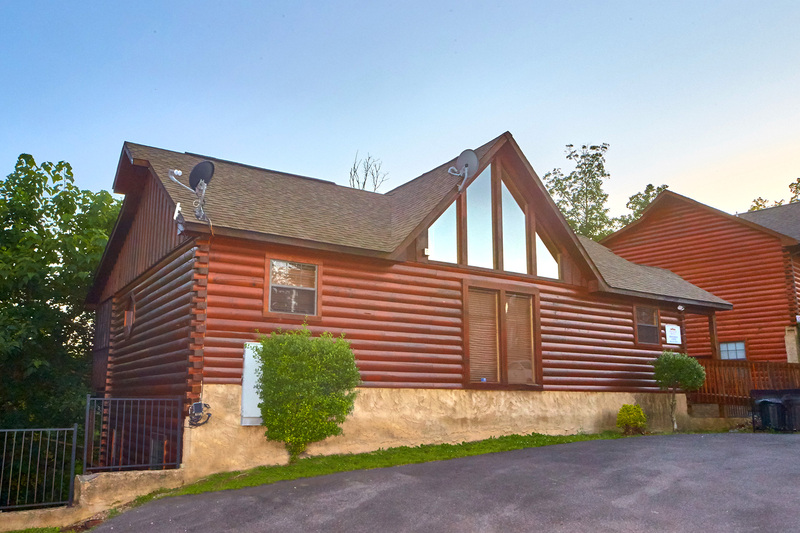 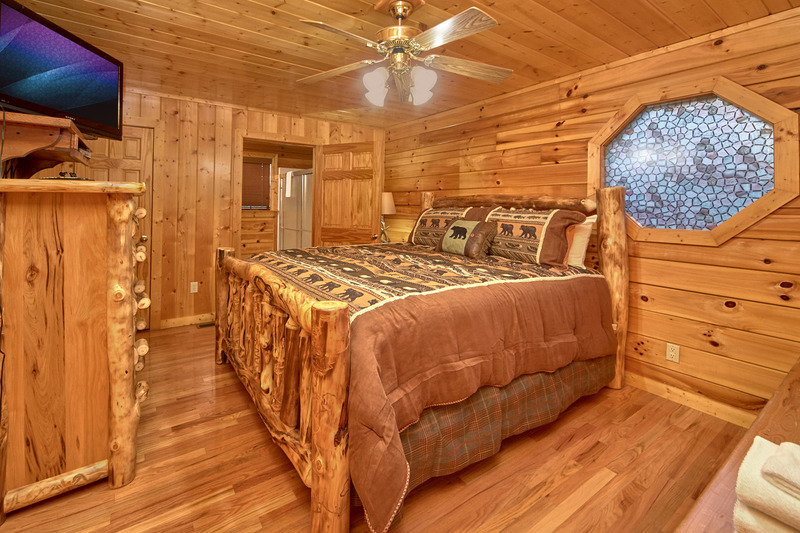 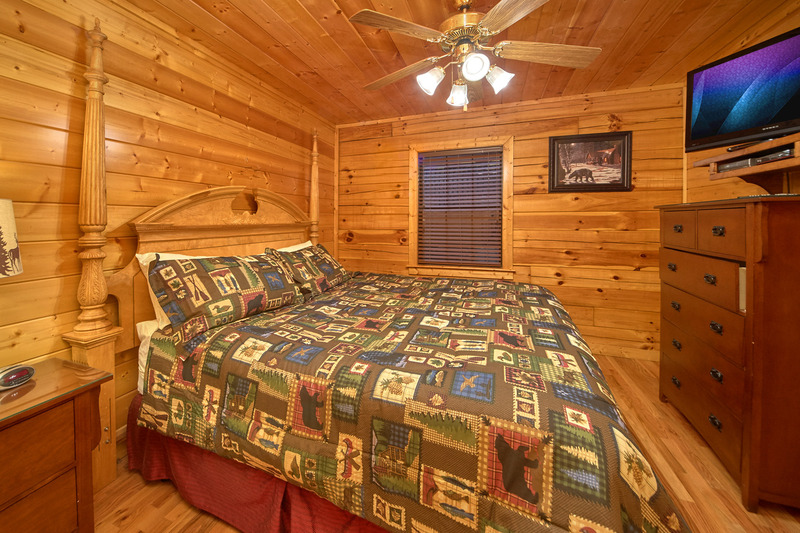 With all it has to offer, this gorgeous cabin will book up fast -- don't hesitate -- call us or book online TODAY!